Here’s the reality: today’s contractors can make or break your business. Empowered by technology and hyper-connected, they’re a whole new breed of smart. With different expectations and lots more options. In truth, they’re thinking less and less about you. Which means you must be thinking more and more about them, connecting and engaging with them in as many different ways as possible to keep your brand top-of-mind. The smart/cost-effective/relevant/fun way to do that? Social media. Social media is personal. It’s community and collaboration, like a conversation…on steroids. And increasingly, it’s where contractors are. 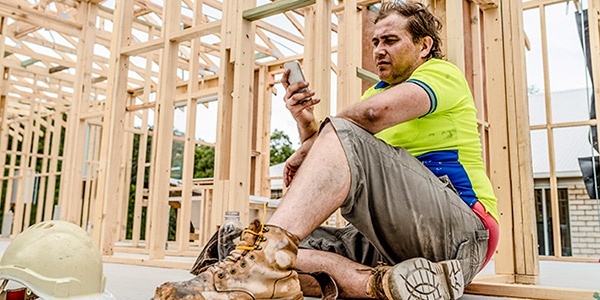 According to a 2015 Equipment World Connectivity Study of 4,000 contractors, more than a third of those surveyed (37.8%) use their smartphones to visit social media sites. For Facebook and Twitter, more than 50% of those surveyed visited the sites daily, while about a third of LinkedIn and YouTube viewers visited those sites daily. And not just for personal use. Almost 39% of the Facebook users view work/company related materials. Are Those the Only Sites to Use? No, there are other social media sites that have value for contractors, and therefore brands. These include the highly visual Instagram, Pinterest and Houzz, as well as Google+. Different sites are tailored to different demographics, and some are stronger or weaker in different parts of the country, so you may need to experiment to find the sites that work best for you. Remember your goal here is to connect with and engage contractors, just like you would casual acquaintances at a party. Heard a good joke recently? Tell it. Saw a funny video? Post it. Know some general installation tips and tricks that would be valuable for contractors? Share them. Just make sure it aligns with the essence of your brand. Be sure to focus on creating contractor interaction: pose questions and report on the answers you receive, or sponsor a contest for the best installation using your product. Ask for permission to use the photos submitted on other social media sites and list photo credits for the contractors who allow it. Use social media as a vehicle for solving contractor problems or addressing contractor concerns, not selling product. If there is a topic that’s trending, use it as the subject for a blog and invite contractor comments at the end. Post the blog on your website, but promote it on your social sites with embedded links. If contractors comment, agreeing or disagreeing with what you said, be sure to respond quickly and respectfully. Here are a few tips that may make reaching your contractor customers through social media more effective. Post daily. Contractors visit every day, so give them something new every day. It can be entertaining, distracting, interesting, or insightful. And it doesn’t have to be long. Post photo comments. According to the KISSmetrics blog, which focuses on analytics, marketing and testing, photos get 53% more likes, 104% more comments, and 84% more clicks on links than text based posts. Save Twitter for things that are up-to-the-minute like product updates, tweets with links to your latest blog, or questions that are conversation starters. Use hashtag searches to see what contractors are tweeting about. This will give you great topic ideas for other posts, help you understand what’s relevant and allow you to join in the conversation, building relationships. Post your blogs on Pulse, LinkedIn’s blogging platform. When you do, your connections will receive notification to read it. Use Houzz’s discussion boards to start a conversation by posing an interesting question. This is not only great exposure for your brand, it connects you to contractors. But beware: According to Houzz, 70% of comments and questions posted to brands online go unanswered. Make following the discussion and answering comments a priority for someone in your company. Today’s hyper-connected and technology-empowered contractors have different expectations and lots more options, undercutting their brand loyalty. Using social media, building products manufacturers can offset that by using collaboration, conversation and community to connect and engage with contractors to keep their brands top-of-mind. If you’re seeking a strategic partner to help your brand more effectively use social media to drive contractor engagement, contact us here.